WITH electronic communications powering today’s knowledge-based economy, any downtime in e-mail systems can have an adverse impact on any business. 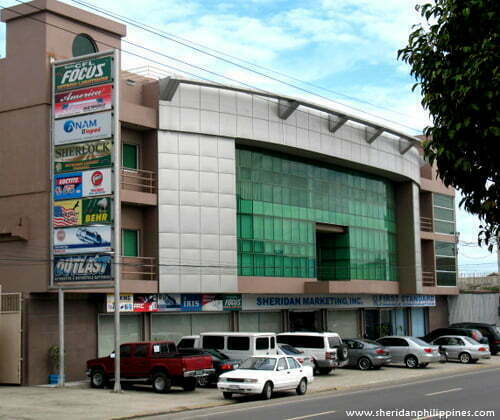 Take the Sheridan-Jeco Group of Companies in the Philippines, for example. For a while, the conglomerate, which distributes a vast array of electrical, hardware, automotive, home care and general merchandise products, had encountered bugbears with its e-mail system hosted by its previous cloud service provider. “We’ve had frequent problems with sending and receiving e-mail messages, which had a big impact on us especially when processing business transactions,” says Mr Christopher Guy, who manages the network infrastructure of Sheridan-Jeco. “It’s not that they’re providing an unsatisfactory service because in all fairness, we’ve been satisfied in most cases. But for this specific instance, they had never given us a clear explanation on what happened,” he adds. So, rather than sitting and waiting to resolve the issue, the company’s top brass decided to switch to ReadySpace as its new hosted e-mail service provider last year. Mr Guy’s experience with the new e-mail service has been nothing less than stellar, thanks to the reliability of ReadySpace’s e-mail hosting infrastructure which has raised the productivity of employees across Sheridan-Jeco by several notches. The company’s associate users, for example, have been able to send and receive e-mail messages quickly, helping them to become more productive and collaborative than ever before. Additionally, Sheridan-Jeco’s customer service team has been able to provide high quality customer service by providing prompt responses to queries. For Sheridan-Jeco’s managers and top executives, ReadySpace’s hosted e-mail service has sped up decision-making and corporate approvals, leading to a more responsive organisation. Mr Guy also loves the fact that he is now able to manage employee e-mail accounts and storage more easily. “We can now have the freedom to categorise users based on their usage, and set different mailbox quotas for individual accounts. There’s no need to hire experienced e-mail administrators just to manage the e-mail system, which means more cost savings for us,” he says. Moving to the new hosted e-mail service was just as easy and hassle-free, according to Mr Guy, who put together a programme to educate users on how they could access their e-mail messages through the Web or with an e-mail application. As there are many cloud service providers that provide different services, with some offering competitive prices, Mr Guy noted that after-sales support is a key consideration that businesses must look into it before engaging a provider. “A service provider must provide good quality services to all their customers. That includes promptness in resolving issues, and delivering helpful information in a professional manner. “I’m glad that ReadySpace is one of the cloud service companies that offers good support,” he says.